1. The full copyright notice and the reference to www.poemsandreflections.com are listed at the bottom of the poem. the poem stands to receive financial gain from ad revenues, web traffic increases, or other sources of income and/ or other considerations affiliated with the usage of this poem. 4. Minor alterations to the poem to personalize the poem (such as changing words from “I” to “we”, etc.) ARE PERMITTED. 5. This poem may only be posted upon online/digital memorials and messages placed upon family-friendly web pages and/ or upon family-friendly websites. 6. The user agrees to immediately remove (meaning within 24 hours) this poem from any website or digital page/ digital message where it is posted if they receive electronic or written notice from the affiliated author(s) and/ or Poems And Reflections LLC that the poem(s) is/ are not being posted in conjunction with the Poems And Reflections Usage Terms and Conditions. The user/ entity waive(s) any and all legal rights to dispute the removal of this poem or any other poems/ quotes/ sayings listed as copyrighted by Poems And Reflections LLC, or by an affiliated author. The user/ entity additionally agrees to pay damages for any delayed removal of this poem. The user/ entity further waive(s) the right to repost or redistribute this poem, or any other poems written by the affiliated author(s) listed upon this website and/ or copyrighted by Poems And Reflections LLC. The user/ entity also agrees that if any portion of the Poems And Reflection LLC Usage Terms and Conditions are deemed legally invalid, that the remaining Poems And Reflections LLC Usage Terms and Conditions shall be held as fully valid, legal, and enforceable. The author(s), Poems And Reflections LLC, the user and/ or using entity further all agree to be exclusively bound by the legal actions, terms, rulings and conditions filed and ordered within the Utah State Court system, in the county of Salt Lake located in Salt Lake City, Utah, USA. 7. 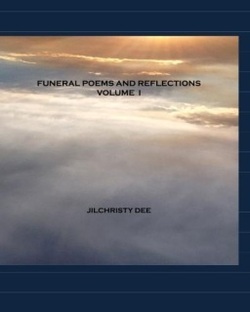 No more than one poem from the Poems And Reflections LLC website can be placed upon any online memorial webpage or digital message/ digital page. 8. Poems And Reflections LLC reserves the right to change the Purchase and Usage Terms and Conditions at any time. Please check back regularly during the time that you have a poem posted online/ digitally, or in a recurring vocal or print format to make certain that the Poems And Reflections LLC Purchase and Usage Terms and Conditions have not changed. *Note: The date of this most current version of the Poems And Reflections LLC Terms and Conditions is: November 6, 2014. 9. Posting the poem “Too Rough for Heaven”, or any other poem from this poemsandreflections.com website, indicates that the person or entity posting/ using/ sharing the poem has read and has agreed to abide by all of the Poems And Reflections LLC Usage Terms and Conditions listed above. Funeral Homes, Clergy, and Non-Profit Organizations MAY refer people to this website to find poems for funerals or memorials; however, they MAY NOT download these poems and present them to people who have not accessed this website. Please consider liking or following Poems and Reflections on social media. Your support helps others to know about this website where they can also find funeral poetry and memorial tribute options for their loved ones. Thank you! May this poem, and many other poems on this website, bring you comfort and help you to honor those who have meant so much to you! Please accept our deepest sympathies for your loss. Or at quality local bookstores. To wear clothes like that…he’d make a fuss! For we’ll gladly take him back! Poem Copyright ã 2012-2014 Poems And Reflections LLC. Website Copyright ã 2010-2014 Poems And Reflections LLC. Every donation is sincerely appreciated.